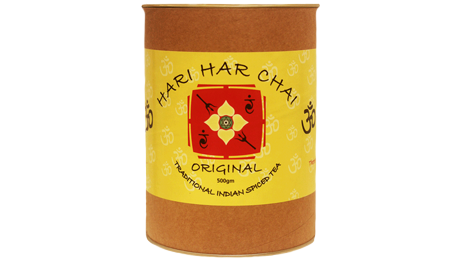 The Original Chai Company, Hari Har Chai birthed in 1997 by Christina Covington in Torquay Vic, Australia Now based in Byron Bay region, NSW, Australia we are Byron Bay's favourite chai brand. For more than two decade we have kept our essence strong and real in every cup. Dedicated to sourcing Australian produce and keeping it local. Hari Har Chai is Australia’s premium most loved chai brand. With the alchemy of Ayurveda, a hand full of love and an embodiment of salubrious spices we are all things chai. Uniquely hand blended using Australian grown low caffeine, no tannin, spray free tea. All natural and organic products, try our traditional chai blends, our convenient without compromise organic chai teabags, or our microbrewed, ready to use chai concentrate. A little extra add a chai sprinkle or our 100% caffeine free chai blends. Our mission : To nourish the world with love one cup of chai at a time. I have lived, breathed, loved and flowed chai for over 20 years now and still there is nothing better than taking pause, filling my beautiful china teacup with a brewed original chai and enjoy the essence of the love in every cup. Steeped in the tradition of Ayurveda. As an Ayurveda consultant every Hari Har Chai blend takes the alchemy of the spices into consideration according to the learned art of chai blending and the knowledge of Ayurveda. Chai literally translated from Hindi is the word for tea. Masarla Chai is translated as spiced tea. For convenience the western world has adopted the word chai to mean spiced tea. Chai is a sweet spiced milky tea traditionally made with cardamom, cinnamon, nutmeg, cloves, ginger and black tea. Masarla Chai has been the drink of Indian and Middle Eastern culture for thousands of years. This centuries - old beverage has become increasingly popular throughout the word...not just because it's delicious! It has also been a drink associated with indigenous tribes of the east. Check out our delicious range of chai.